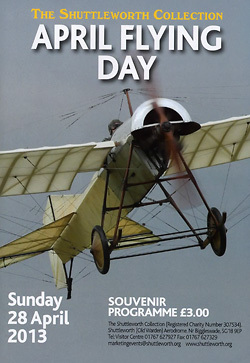 Opening the 2013 display season was the rather understatedly titled “April Flying Day” at Old Warden. 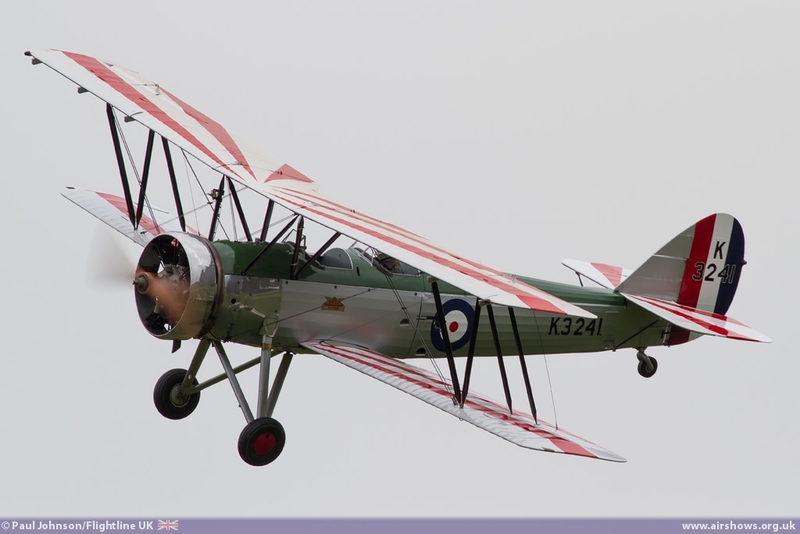 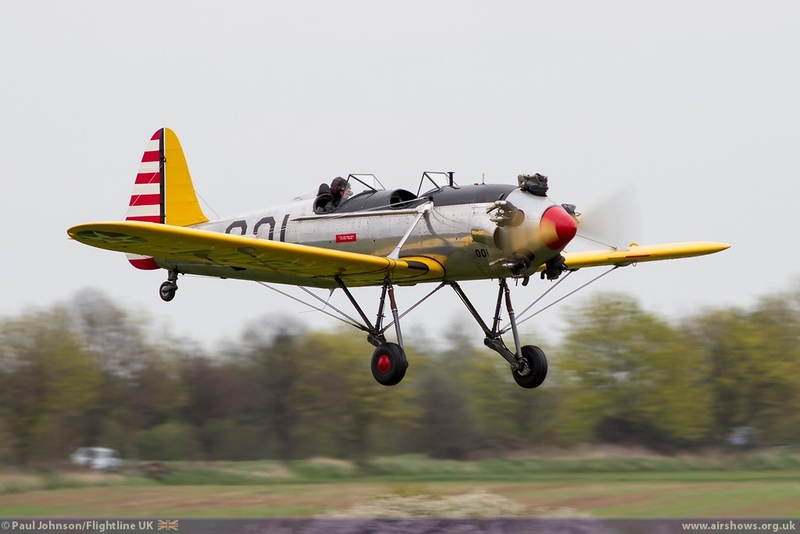 The Shuttleworth Collection have reshaped their display calendar for the year with just three full flying evenings and an increased number of daytime events. 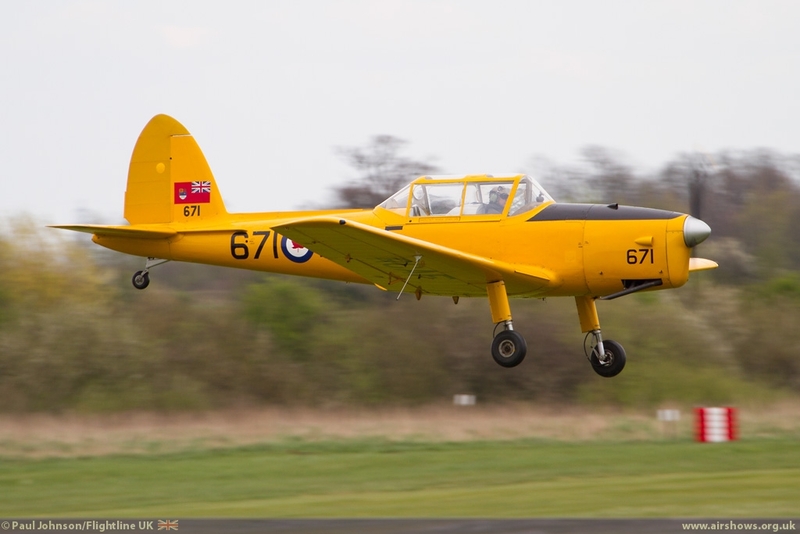 2013 is a milestone year for the collection which celebrates it's 50th year of air displays from the Bedfordshire Aerodrome. 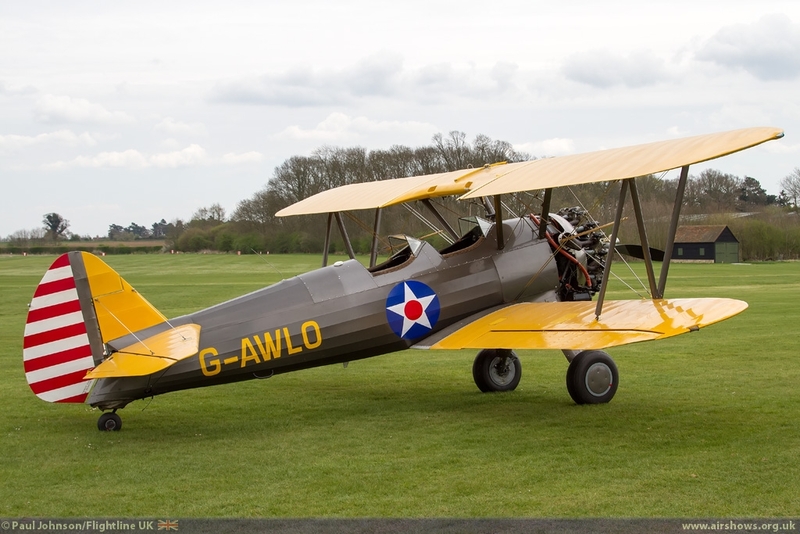 The Shuttleworth Trust was created by Richard's mother in 1944 to perpetuate his name and the incredible collection of vehicles and aeroplanes he had collected. 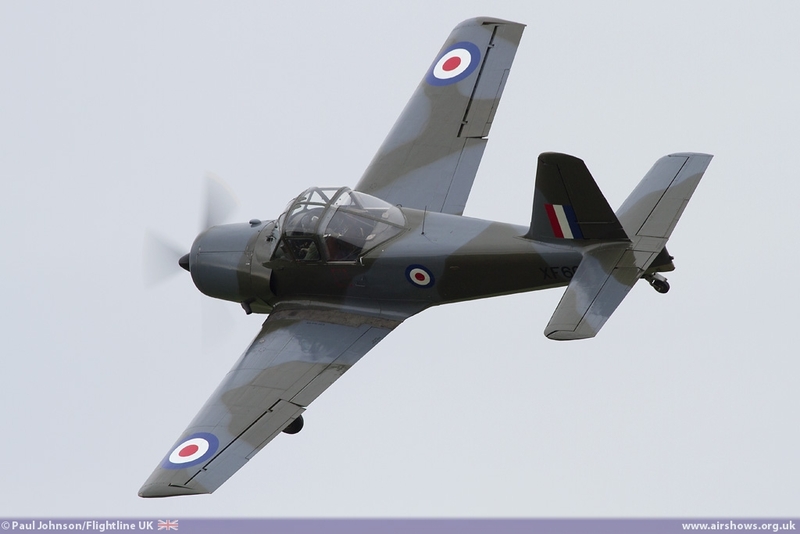 1963 saw the opening of the Collection to the public and the first flying displays at Old Warden. 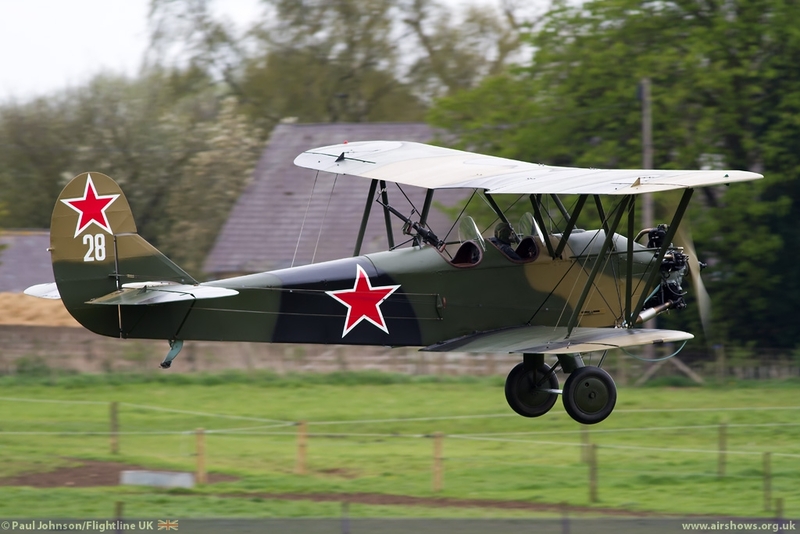 50 years on, the Collection is in great shape with a wonderful array of historic vehicles and aeroplanes, most of which are preserved in working order and the collection is expanding all the time. 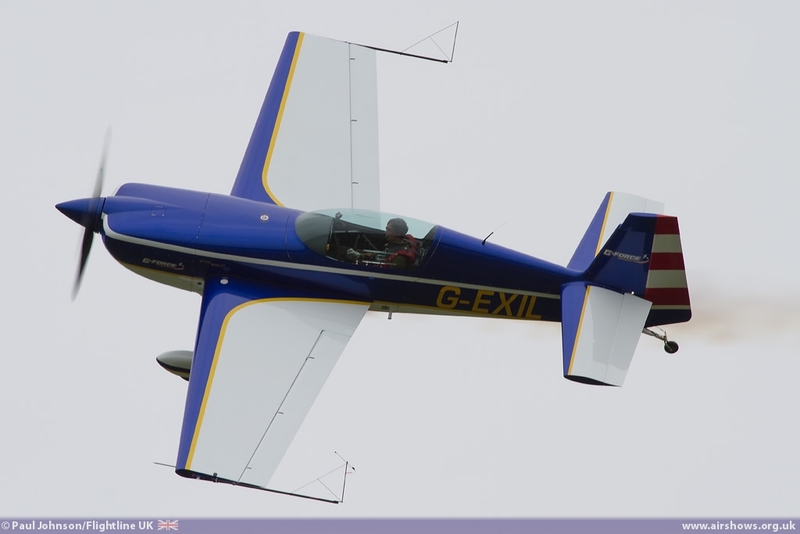 For this opening event, it was great see some bright conditions, even if the somewhat cool and windy conditions that the UK has been experienced lingered on which caused some significant changes from the planned flying programme. 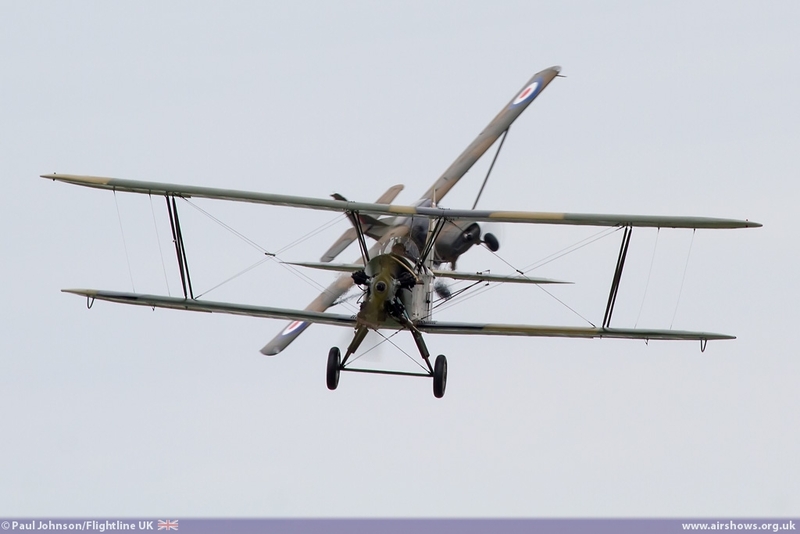 As ever the flying display was preceeded by a parade of the Collection's vehicles, though even they suffered from early season jitters with obe breaking down at crowd centre! 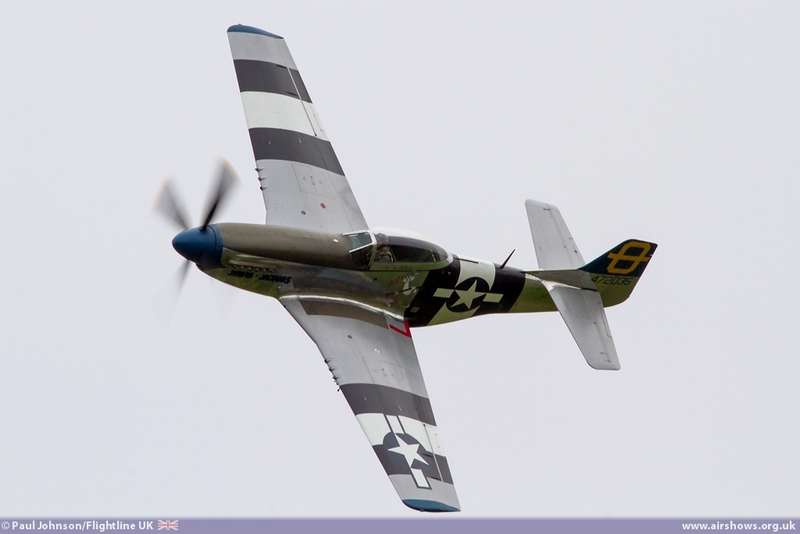 The flying was opened by Peter Teichman in his North American P-51D Mustang “Jumpin' Jacques” operating from North Weald. 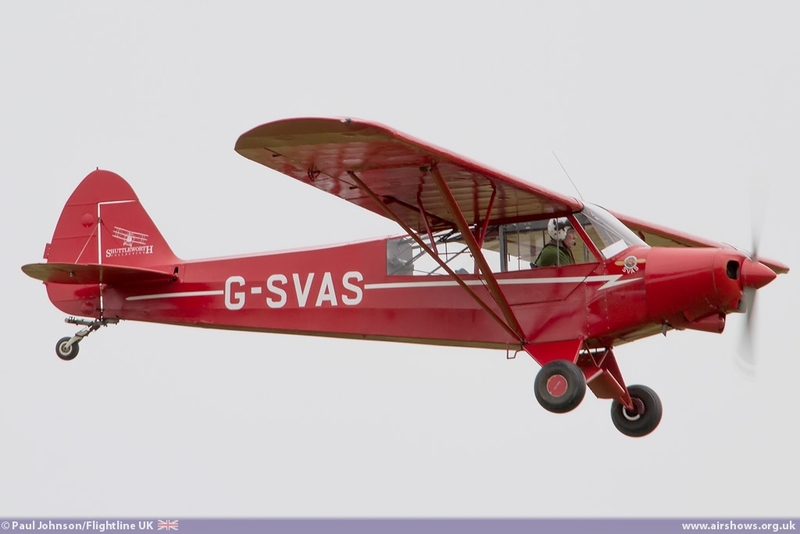 Over the winter, part of the runway was re-seeded but the cold weather has meant the growth of the grass has been slowed considerable meaning some of the types requiring the longer take-off and landing runs can't operate from the aerodrome. 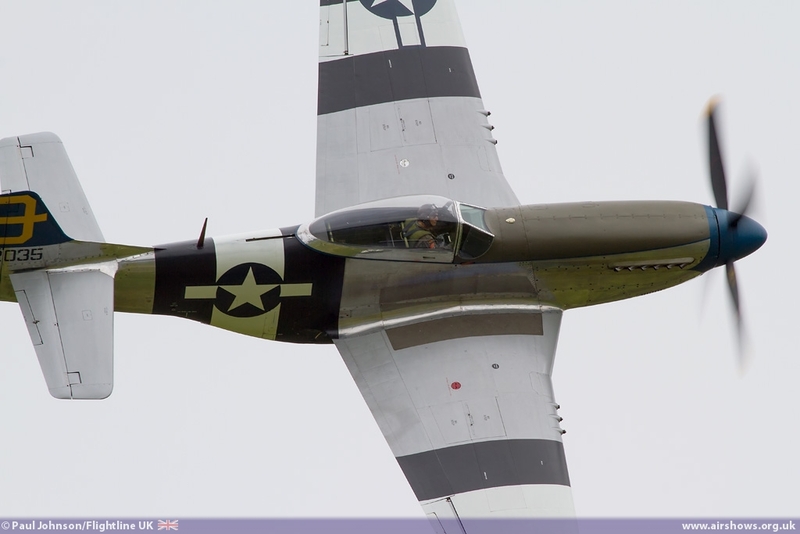 Peter's display as ever was excellent showing the Mustang off to the crowd with great style. 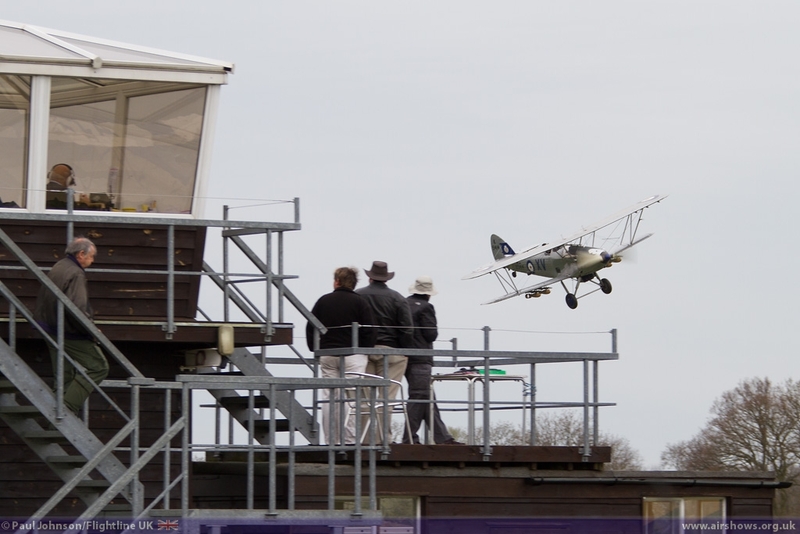 The first Old Warden based aircraft to get airborne formed the first unusual formations of the day with Tracy Curtis-Taylor flying her Ryan PT-22 in company with the collection's Comper Swift racer flown by Keith Dennison. 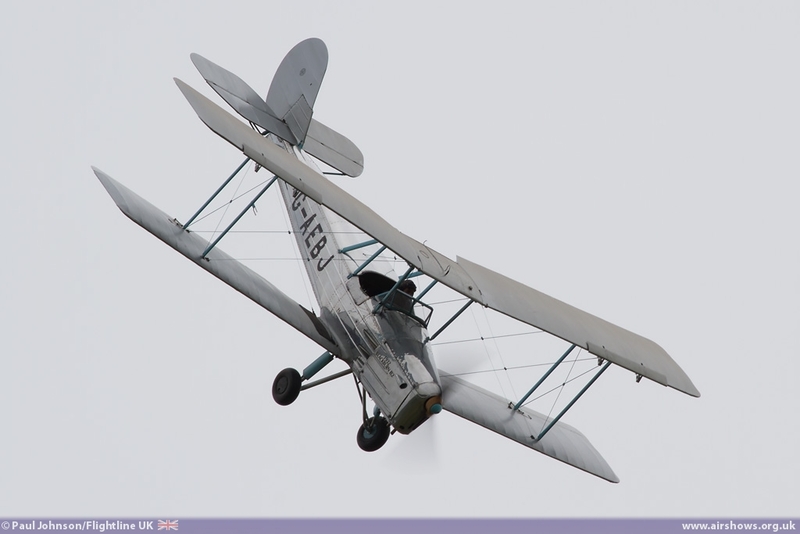 It was certainly an eye-catching and unique sounding sequence of flying. 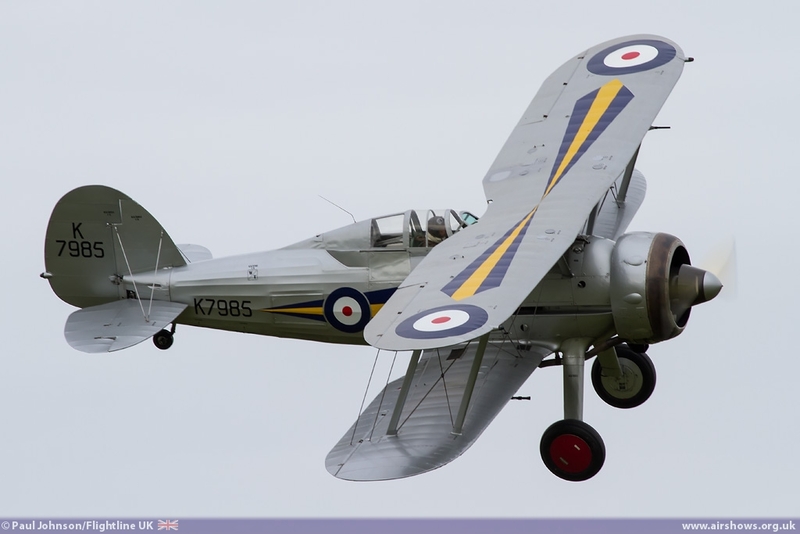 Closing the Army Co-operation tableau was the Hawker Hind representing the Hart and Audax developments of the famous range of Hawker bi-planes. 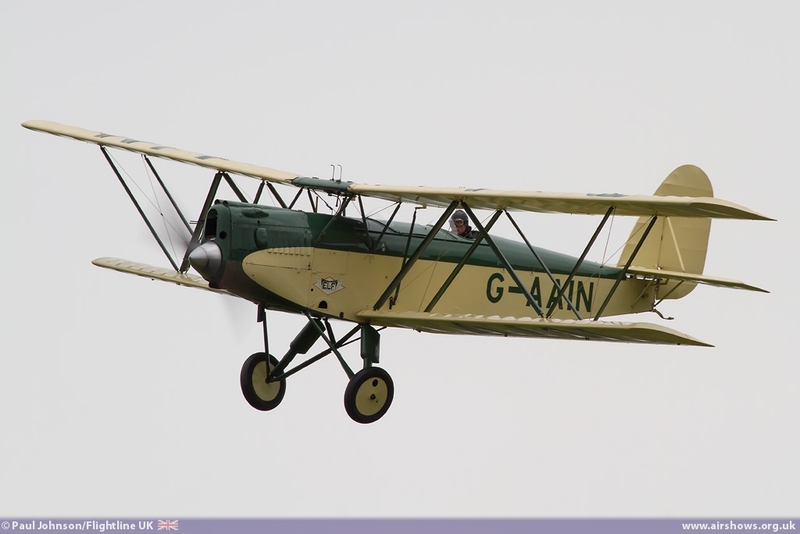 As ever it was a stunning sight to see the sleek silver doped biplane in the skies over Old Warden. 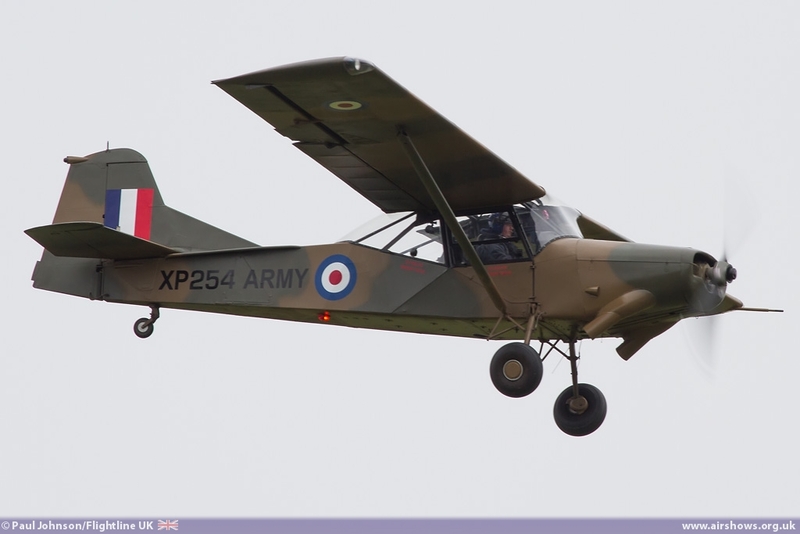 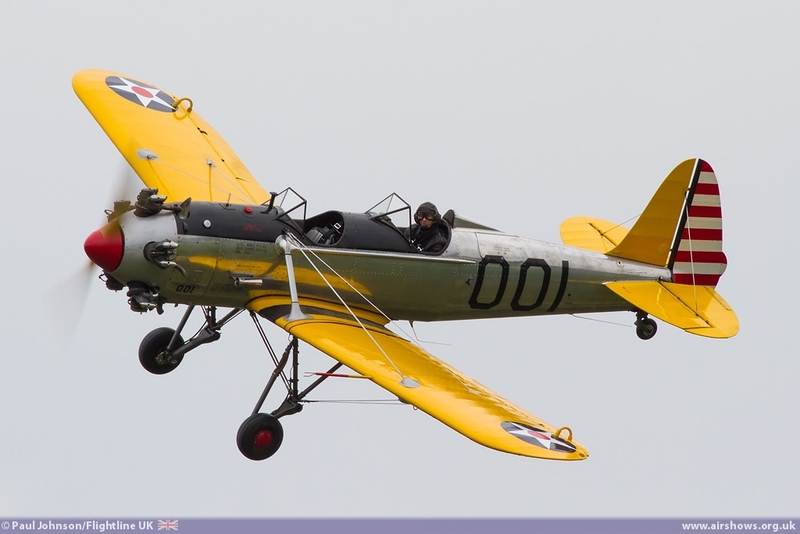 Changing the theme from military flying to Barnstorming were the De Havilland DH82a Tiger Moth, Piper Super Cub and DHC Chipmunk from the collection. 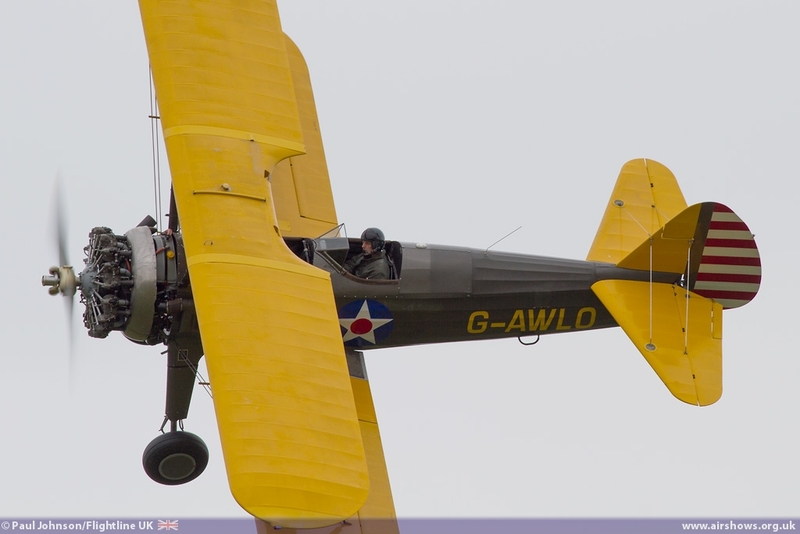 Shuttleworth's barnstorming displays are always entertaining even if the weather is less so! 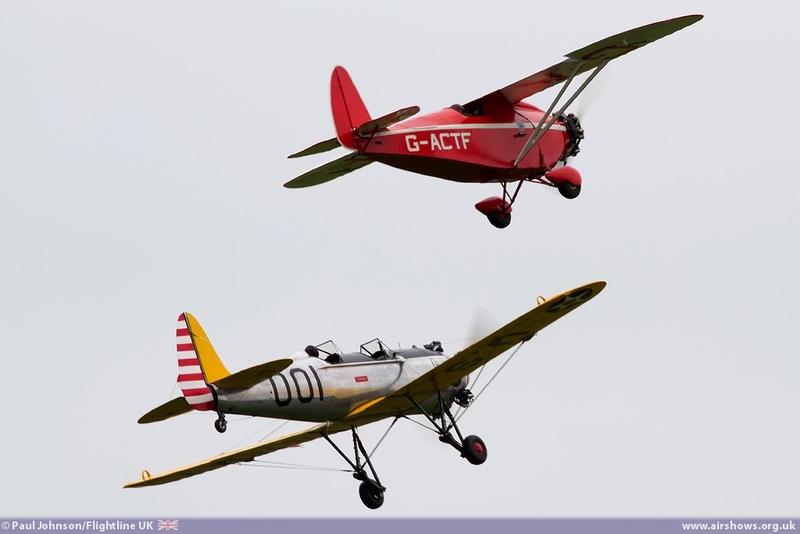 The three aircraft performed three classics of barnstorming; Flour bombing, limbo flying and Balloon bursting. 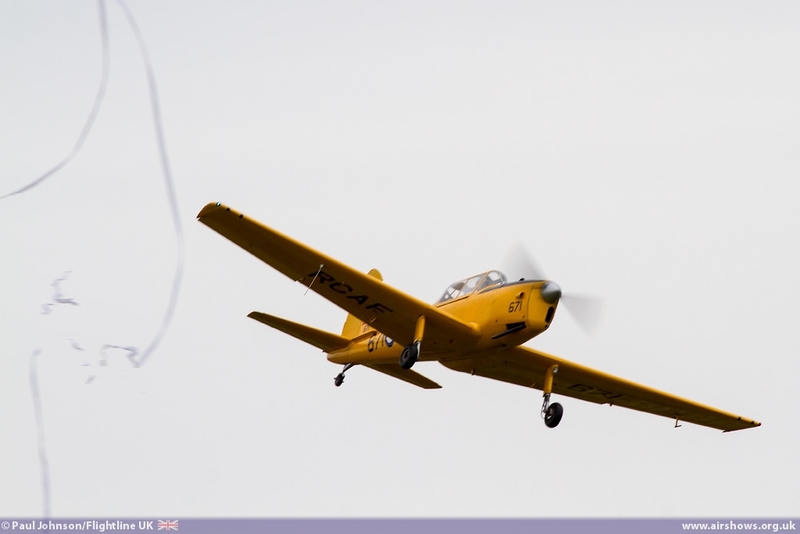 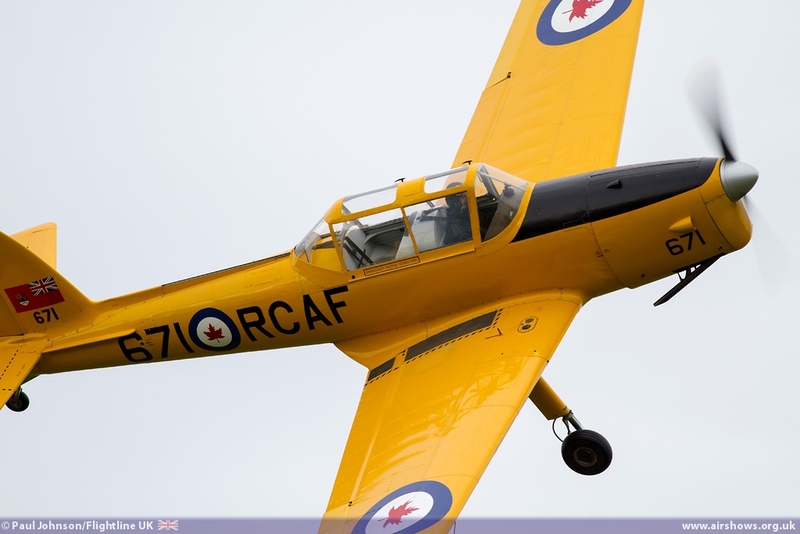 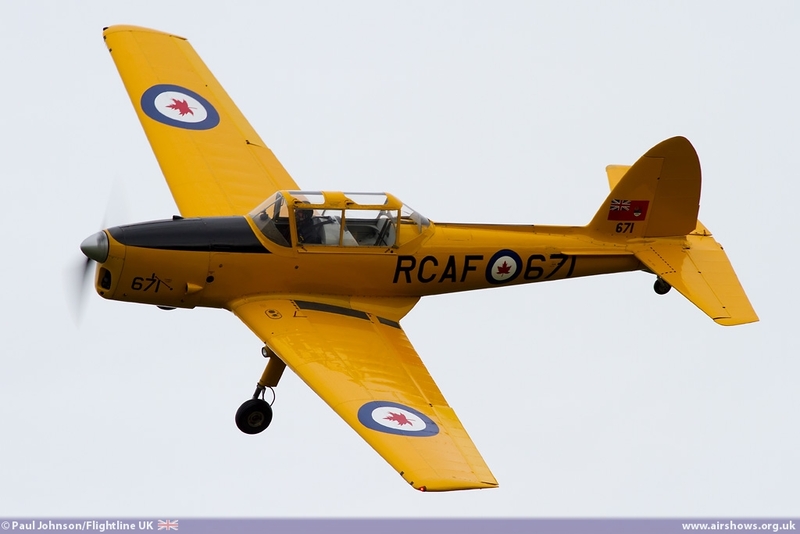 Due to the winds curtailing the display, spactators also got to see the Chipmunk later in the flying display performing streamer cutting – sadly the winds blew the streamers rather quickly meaning much larger sections reached the ground than usual! 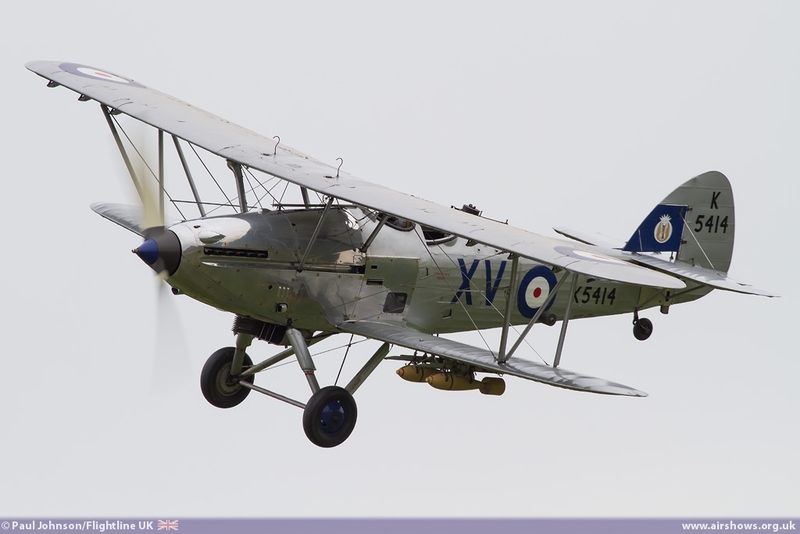 The Shuttleworth Collection is home to many unique aircraft, many of which are not only the only flying examples, but actually the sole remaining examples of their breed. 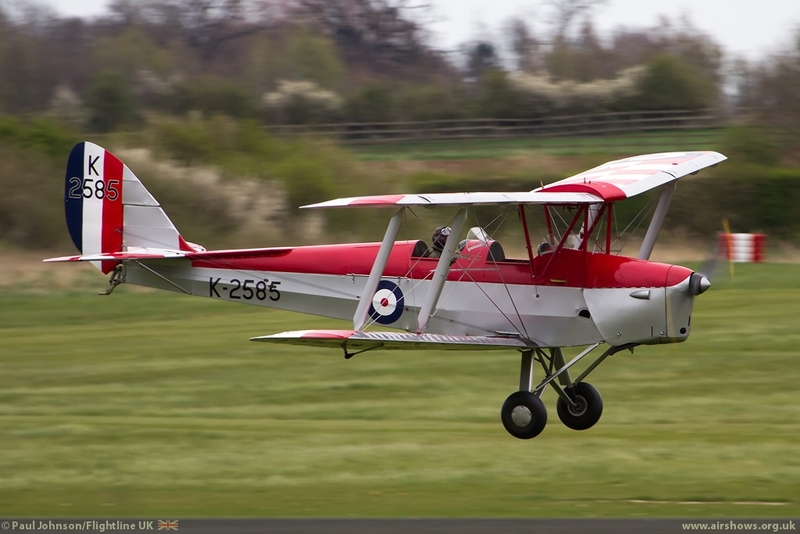 Three of these aircraft were put together for one of those special “no where else the world” moments with the Avro Tutor, Parnall Elf and the BAE Systems owned Blackburn B2 all flying together which was a superb reminder of just what a magical place Old Warden is.....even on a cold grey April day! 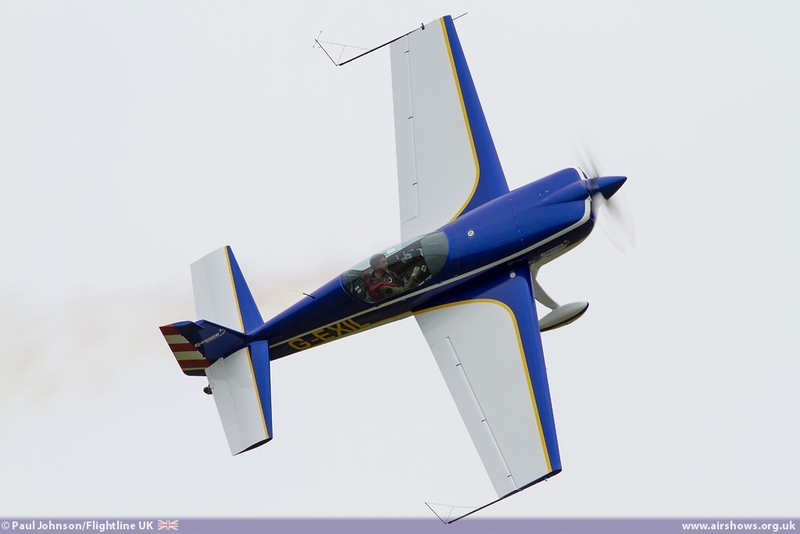 The next visiting display act was Chris Burkett in his Extra 300S. 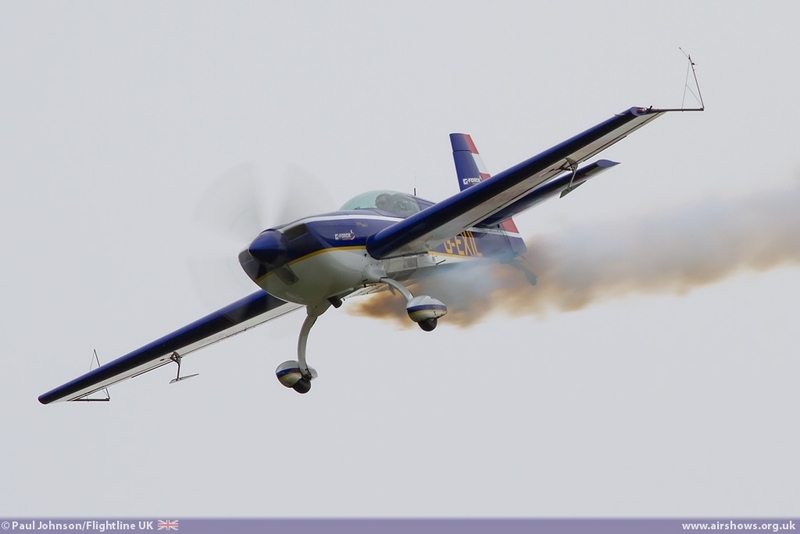 Chris' display was a sublime mix of sharp aerobatic figures and impossible tumbles in a very well presented display. 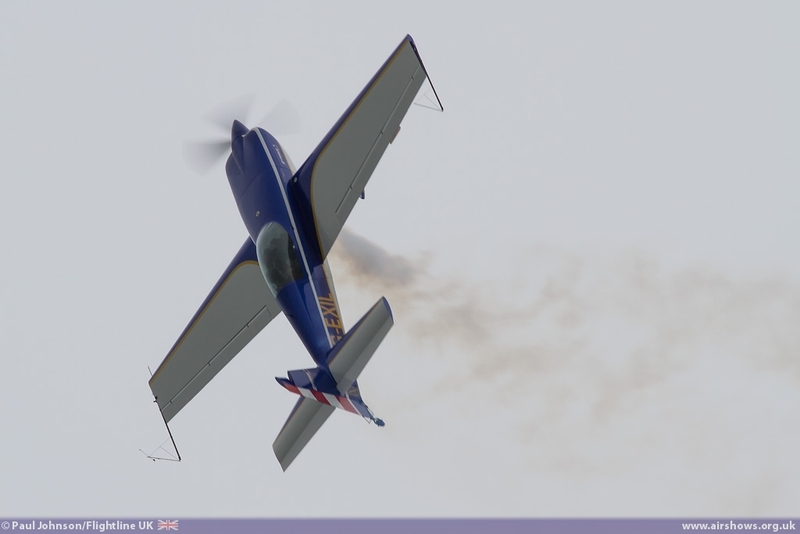 The Extra 300S may well being slowly superceded by the Sbach in displays, but in the hands of a pilot like Chris, it is more than capable of capturing the crowds attention! 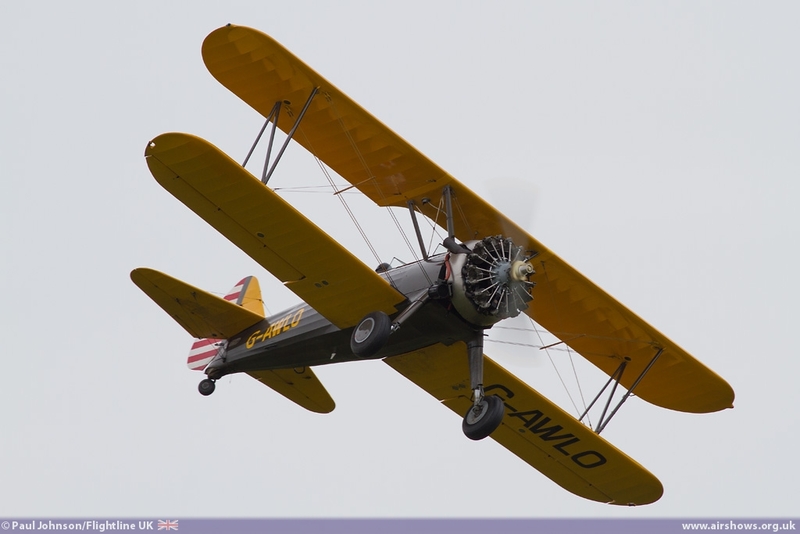 The final visiting act was a last minute addition to the flying, the Boeing Stearman flown by Bob Morecombe. 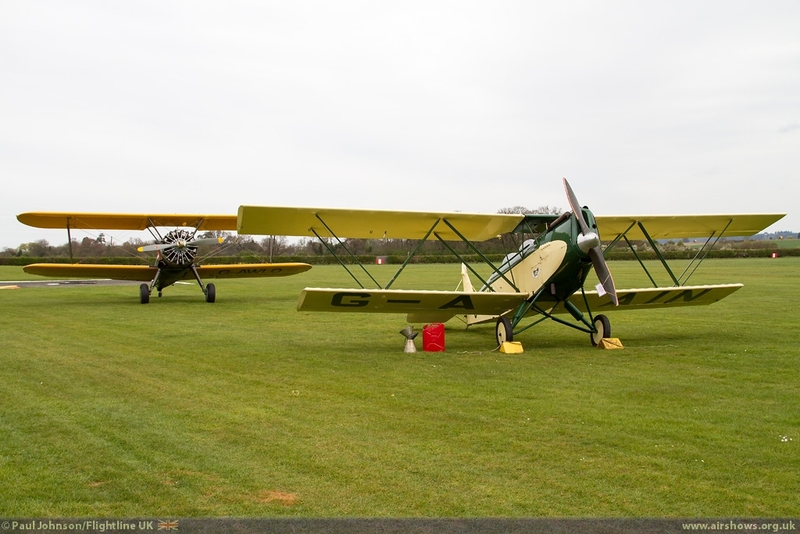 It was great to see a big colourful biplane flown around the dog-legged crowdline at Old Warden and nice to see a standard configured example on display. 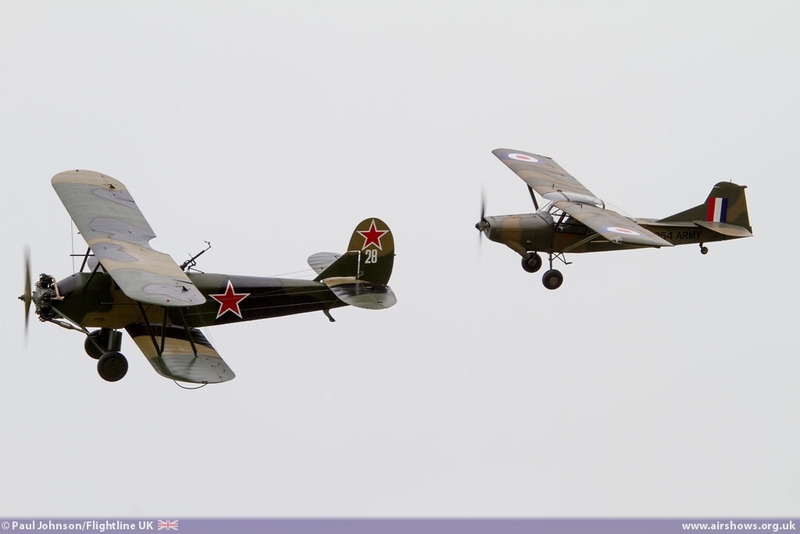 Closing the display were two of the Collection's radial powered machines. 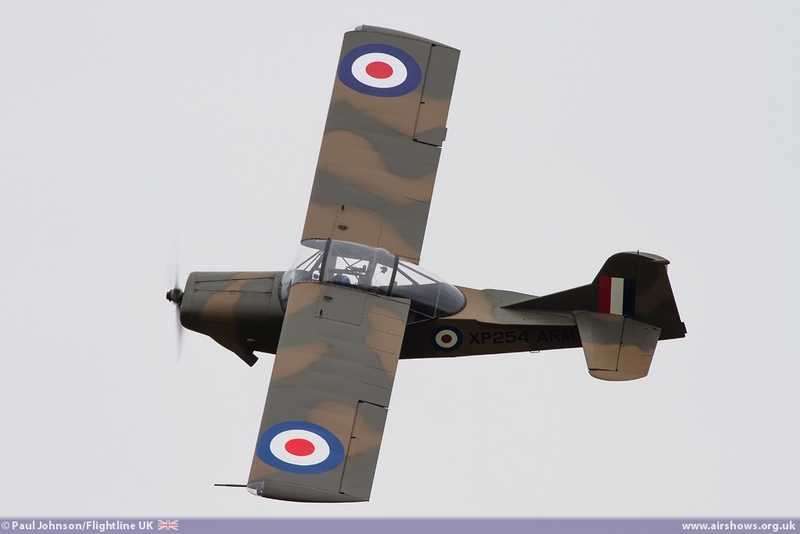 First off was the powerful Percival Provost which was put through a typical routine of aerobatics and low curved flypasts. 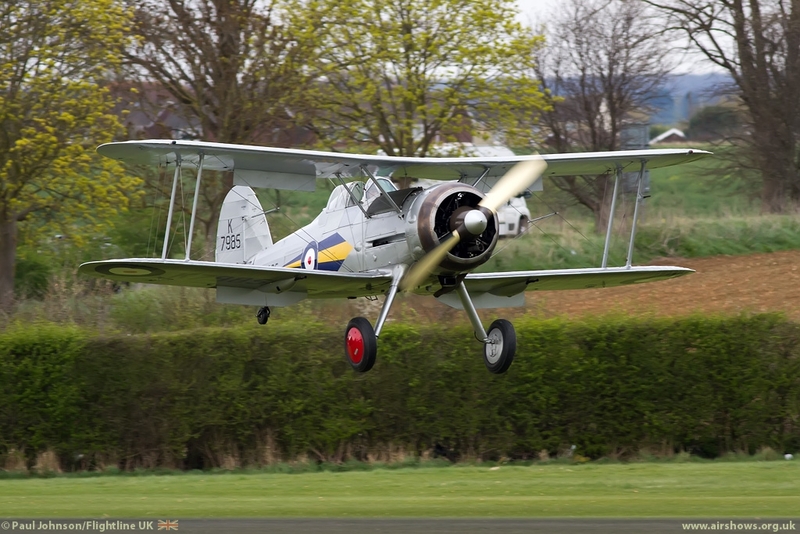 Rounding off the flying display was the Collection's Gloster Gladiator with a series of graceful flypasts. 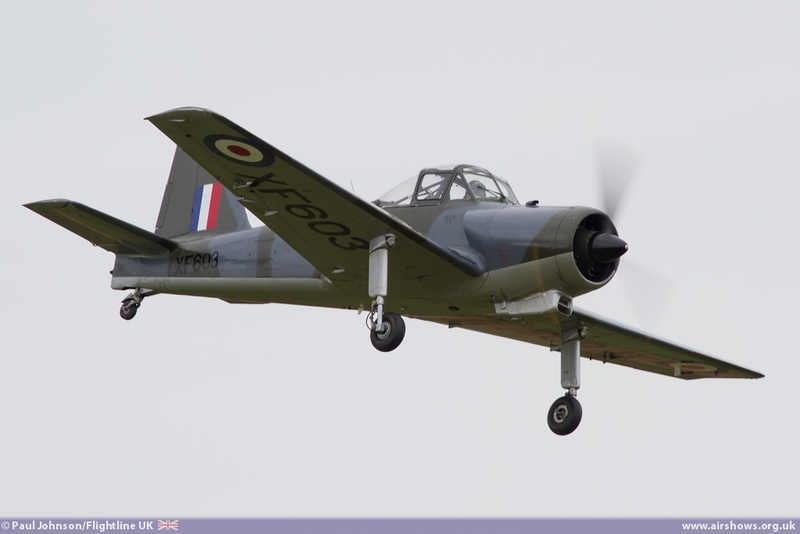 Weather wise it may have not been the most pleasant afternoon, but the flying display was an entertaining and welcome start to the 2013 display season. 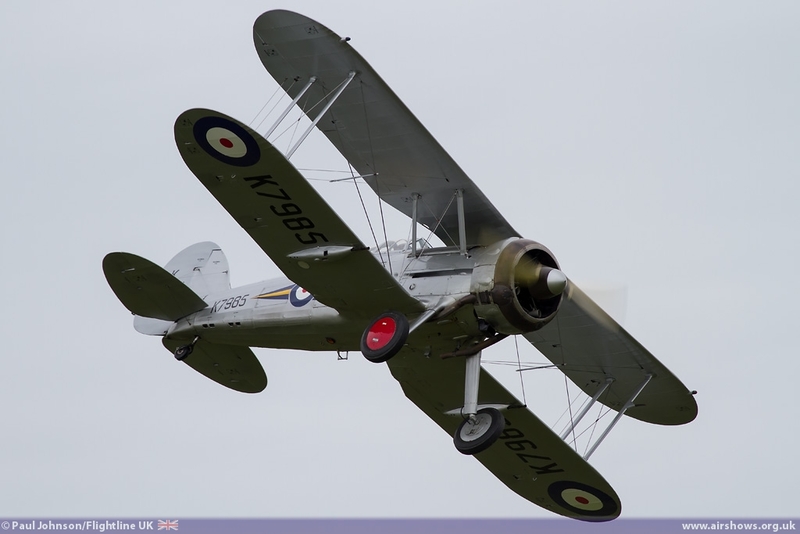 It certainly looked to be a well attended event and I hope it marks the start of a successful and safe series of displays at Old Warden.